Your generous giving at UDAC is about more than just meeting budget; it’s about enabling us as a church community to step into the ministry God is calling us to. Thank you for financially supporting our endeavor to Reach, Teach and Equip people to Know, Love and Serve God. To text in a donation, enter the phone number (587) 602-0171. Then text the word GIVE. First time donations will be given a link and asked to supply their payment method. This payment source will then be linked with your phone number so that, in the future, you will just need to text in the amount you would like to donate. ** NOTE: To give by text, you need to have online giving set up. This is why you are redirected the first time you try to text a donation amount or the word GIVE. Once your online account is set up, you can then text in a dollar amount (ie. 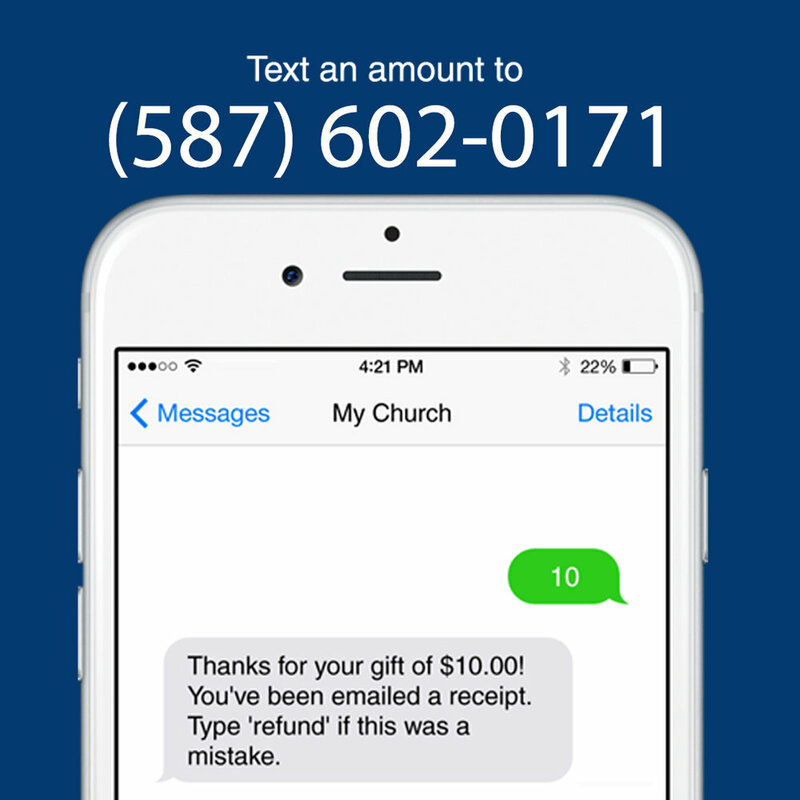 text 10 or $10), text REFUND to return a mistaken donation (within 24 hours), set up recurring donations (ie. text WEEKLY10), and text UPDATE to change your donation settings.